Monkeys. Gorillas, Baboons, Orangutans. Simians. As some of you may know, I’m fascinated by monkeys, all things simians. They’re funny, they’re powerful, they get angry and they can sell/move products. 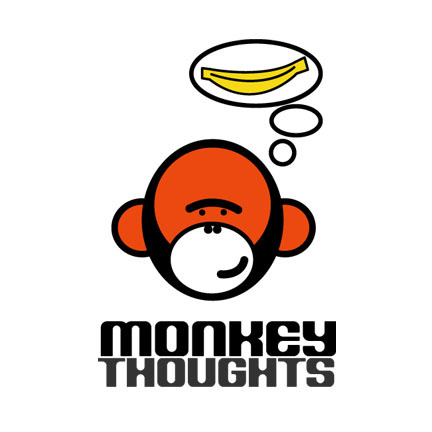 A few years ago, I had a company called MonkeyThoughts. I didn’t do anything with this so called company except create a logo. I thought it was funny and clever. You can be the judge of that. Couple of years later, it morphed into a more robust endeavor; SimianSoul. Again, it had a monkey for a logo. See for yourself. My latest fascination with these mammals is an ad done by the folks at Fallon UK. Hope you enjoy. Check out the other ad. Funny stuff. Comments Off on Is there anything they can’t do?